Dancer With Down Syndrome Has Judges In Tears With Inspiring Audition. Andrew Self is here to let the world know that there’s simply no stopping him from accomplishing his goals. 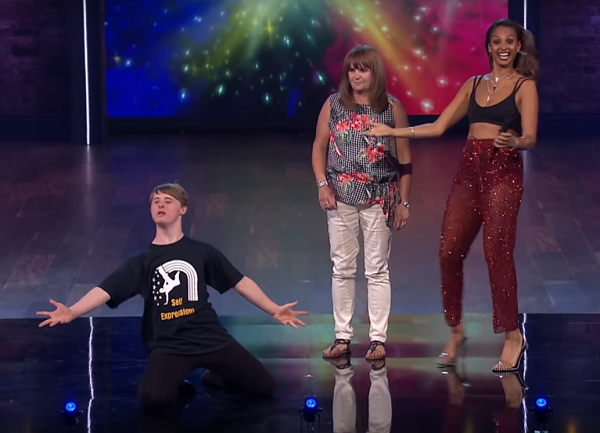 Andrew has Down syndrome and he was excited to be a part of a brand-new BBC reality dance competition called “The Greatest Dancer.” Appearing for his audition with his mother Donna, Andrew seemed nervous but ready to show everyone what he could do. “The Greatest Dancer” is a Simon Cowell production that has dancers compete in different styles in order to impress the viewing audience. 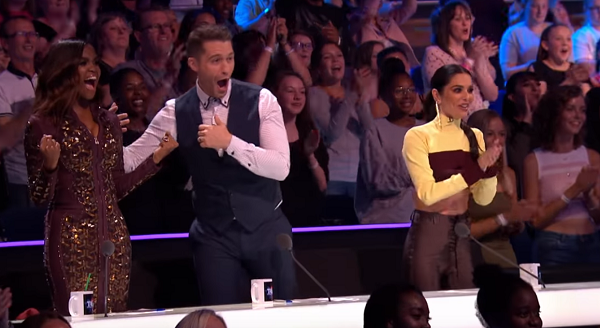 Dancers begin their performance in a small, closed studio space, but if 75% of the audience votes for him, the mirror opens up to reveal a live studio audience and the three “captains” of the show: Otlile Mabuse, Matthew Morrison, and Cheryl. 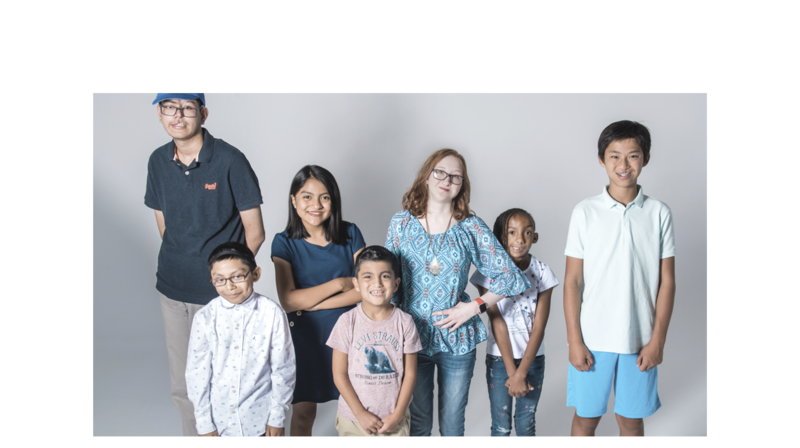 Andrew first started dancing when he was just 11 years old, but he’s never had formal training. Now that he’s 21, Andrew is well-versed in many forms of dance, including contemporary, ballet, and ballroom. Andrew’s mother says that dance has given her son a lot of self-confidence throughout the years. 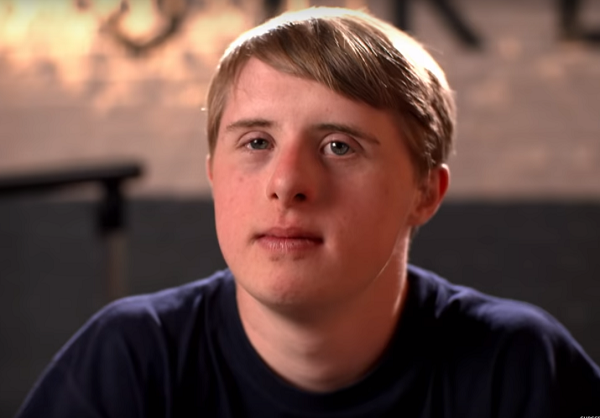 “Having Down syndrome, it doesn’t stop me doing anything,” said Andrew. The self-taught dancer stepped into the “studio” ready to give it his all, choosing to do a freestyle dance routine to Justin Timberlake’s peppy song, “Can’t Stop The Feeling!” Within just a few moments it’s clear that Andrew has talent to spare! He has a very fluid way of moving his body — he just looks like a dancer! 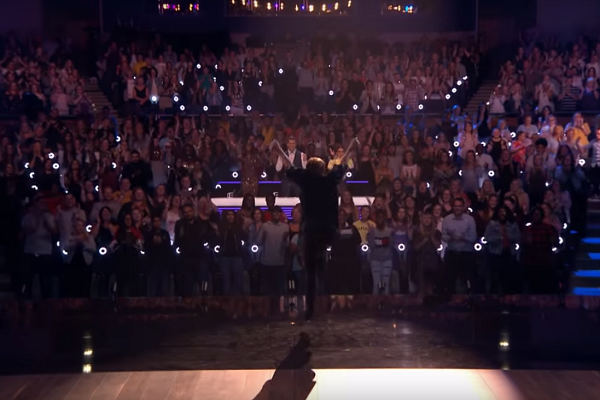 And the audience agreed because just seconds into his routine the mirror opened up to reveal the cheering crowd in the studio. Andrew was so excited that he kicked up his dancing a notch, ending with a cartwheel and a split as everyone cheered. With the audience advancing him to the “call-back” round, Andrew was free to jump up and down and give his mom several big hugs as he heard the captains’ thoughts. 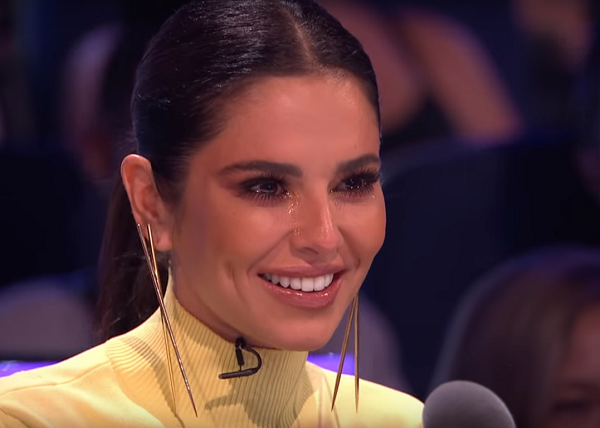 Hosts Alesha Dixon and Jordan Banjo couldn’t wait to get on stage to congratulate the young dancer, and Andrew really hammed it up once the pressure was off! Andrew is such a wonderful ambassador for the Downs community! He’s got such a great ‘can-do’ attitude, and it’s fantastic to see him earning kudos for his talent on an international stage. We can’t wait to see what he does next — we’re certain it’s going to be great! Watch Andrew’s terrific audition below, and be sure to share.